i'm kind of a clutterbug. being a product junkie, i tend to organize most of my cosmetics in some ugly clear plastic container from the container store. 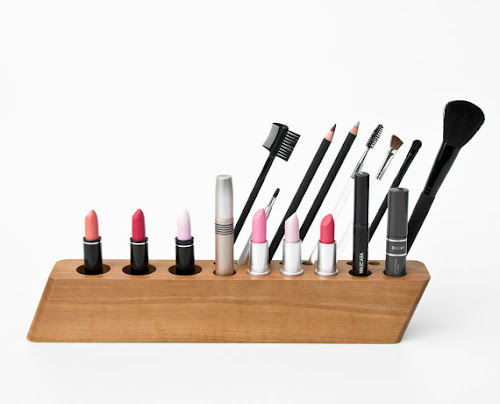 so when I came across less and more's etsy shop, i was super intrigued by the streamlined design of these fantastic makeup organizers. plus they use sustainable, locally grown wood! 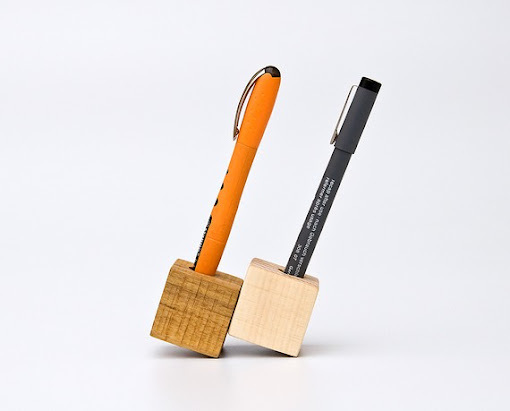 also, how cool are these magic pen cubes for your desk? !